Are you looking for a new set of wheels? If so, start here. Often we can beat dealer financing on new and used cars, trucks and vans with rates as low as 2.74% APR*. Get reliable financing and rates as low as 2.74% for new cars, trucks and vans. Take advantage of our Preapproval ProgramOpens in New Window so you can negotiate with buying power. Set up automatic payments from your Securityplus Checking Account and get a .25% APR* discount on your loan! You also can setup payments from another financial institution by submitting an ACH Authorization FormOpens in New Window — that will earn you a .25% rate discount as well. Need help before you shop? We have programs available designed to help you determine how much vehicle you can afford and which type of loan will best meet your needs. Contact us today and we'll be glad to assist you. Get reliable financing and competitive rates for used cars, trucks and vans. Apply before you shop — our Preapproval ProgramOpens in New Window will help you negotiate with buying power. We have program available designed to help you determine how much vehicle you can afford and which type of loan will best meet your needs. Contact us today and we'll be glad to assist you. Not only can refinancing your auto loan save you money with our great rates, but it also comes with a ton of other perks! New members within their first 90 days of membership will receive 1% cash back on refinanced auto loans of at least $15,000. Cash back will be deposited into your share account within 45 days of loan origination. Take a break from payments! When you refinance with Securityplus you can enjoy 90-days without making payments. Get 150 channels of awesome. 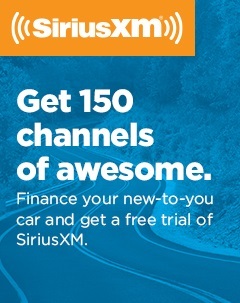 Finance your new-to-you car and get a free trial of SiriusXM. Refinancing also earns you a free 3-month trial subscription of the SiriusXM All Access package on properly-equipped vehicles. Any pre-owned vehicle equipped with a factory-installed SiriusXM radio will be eligible for a Trial Subscription as long as that vehicle is not presently active on a subscription. *APR=Annual Percentage Rate. Rates subject to change without prior notice. Rate shown reflects a 0.25% discount for automatic loan repayment. Refinancing not available for existing Securityplus loans. Rates may vary based on term, application and applicant''s credit history; your rate could be higher. 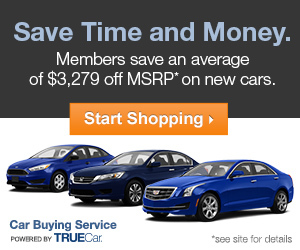 Start your next car search with the Securityplus Car Buying Service Powered by TrueCar. Save time and money and never overpay. It’s that simple. In fact, the average savings on a new car is $3,383 off MSRP. Build a new car based on your preferences – such as make, model and options. Or search the inventory of thousands of used cars. See and compare dealer-guaranteed prices and what others paid. Once you choose the car you like, work with a network of local, TrueCar Certified Dealers. Select a dealer and print your Guaranteed Savings Certificate* before you go to the dealership. ApplyOpens in New Window for a Securityplus auto loan before you visit the dealer to lock in the Car Buying Service special auto loan discount. Now you are ready to buy. Take your Guaranteed Savings Certificate and Securityplus preapproval to the dealer. 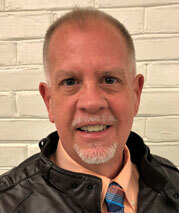 GAP (Guaranteed Auto Protection) eliminates the out-of-pocket expenses you would incur to pay off your loan or lease should your vehicle be stolen or totaled. Securityplus offers GAP coverage for a nominal fee. For more information on GAP coverage, contact us. When you need a little extra cash, you can skip up to two non-consecutive monthly payments within a 12-month period on qualifying Credit Union loans.† To qualify, your loan must be open for at least three months, and all your Credit Union accounts must be in good standing. Find out more. 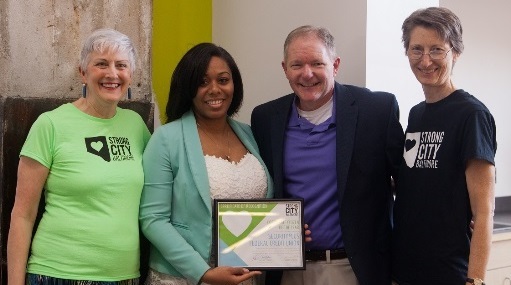 "Securityplus has highly competitive auto financing rates." "I appreciate that having signed up for auto payment provides me with even greater savings, total convenience and peace of mind." *APR=Annual Percentage Rate. **$500 cash back limit. 1% Cash back offer applies to new members within their first 90 days of membership. If the loan is closed in the first 180 days, the cash back offer will become invalid. You may receive a 1099 and are responsible for tax reporting.This offer is valid for non-Securityplus auto loans only. Underwriting criteria apply. Rates and Terms are subject to change based on market conditions and borrower eligibility. Eligibility is based on credit history and proof of income. ***First payment will be due 90 days from the date of issue; interest will continue to accrue on your loan during this time.